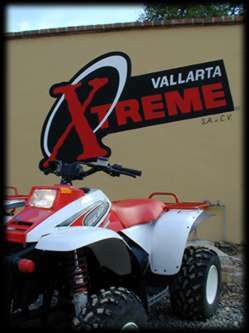 Vallarta X-treme has a host of activities awaiting your arrival to Puerto Vallarta! Choose from merely renting a jet ski to touring the nearby wilderness on a quad! Vallarta X-treme also gives you the opportunity to view the beach and sea via air -- come parasailing with us. If you're searching for excitement in your Mexico vacation, you've come to the right place!